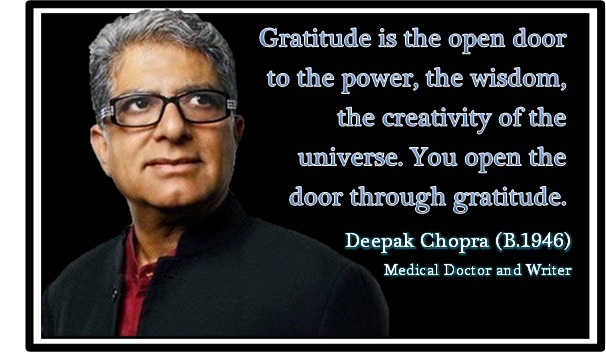 I have to be completely honest, I had never heard of Deepak Chopra until I read The Magic by Rhonda Byrne. But who is Deepak Chopra? Wilkipedia has this to say about Dr. Chopra: "He is a controversial figure. According to a 2008 article in Time magazine, he is "a magnet for criticism", primarily from those involved in science and medicine. His critics accuse him of creating a false sense of hope in sick individuals which may keep them away from effective medical care. Chopra has written more than 65 books, including 19 New York Times bestsellers. His books have been translated into 35 languages and sold more than 20 million copies worldwide. Chopra has received many awards, including the Oceana Award (2009), the Cinequest Life of a Maverick Award (2010), Humanitarian Starlite Award (2010), and the GOI Peace Award (2010). I hope you enjoy this printable.